Cement Plant, Grinding Station, Steel Mill, etc. Slag ball mill is a kind of equipment used to grind the slag into powder particles. 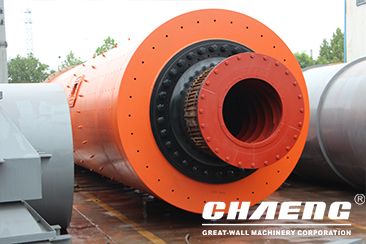 The technical that uses the tube mill on the production of slag has been very mature. The slag produced can be used as concrete admixture, reducing the project costs significantly and enhanced the compressive strength, tensile strength, shear strength and bending strength of the concrete. The widely use of slag increases the market demand to slag gradually. In recent years, investment in slag production line has been a new favorite in investment market. One production line can recover the cost in 1-3years. 2. Improving the quality of final product effectively. 3. 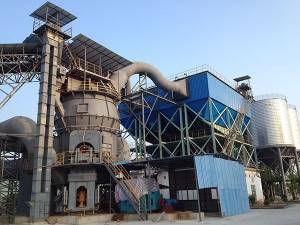 With more than 40-year experience on slag mill manufacture, we have strong technical strength. 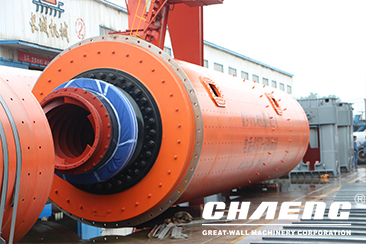 The energy saving ball mill is a horizontal cylindrical rotating device, which has two cabins. 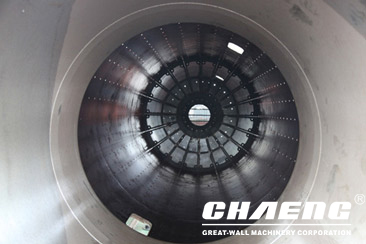 It is energy saving grate ball mill and the outside runs along the gear. The materials enter the first cabin of the mill spirally and evenly through the feeding apparatus and hollow shaft. In the first cabin, there is stepped liner or corrugated liner, and steel balls with different specifications. The centrifugal force generating from the rotation of the cylinder brings steel balls to a certain height, and then the balls fall, thumping and grinding the materials. After coarse grinding in the first cabin, the materials enter the second cabin by single-wall partition. There is flat liner and steel balls in the second cabin, where the materials are grinded further. Finally, the powder is discharged through discharge grate and the grinding operation is finished. The ball mill mainly consists of feeding part, discharging part, rotary part, drive (reducer, small driving gear, motor, electronic control) etc. 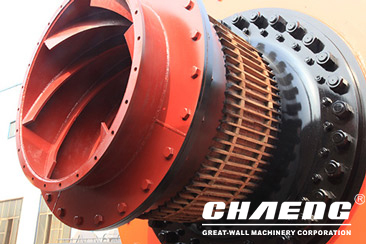 The hollow shaft adopts steel castings and the lining can be replaced. The rotary gear is processed with casting hobbing. There is wear-resistant liner in the cylinder and have strong wear resistance. The machine runs stably and has reliable performance.